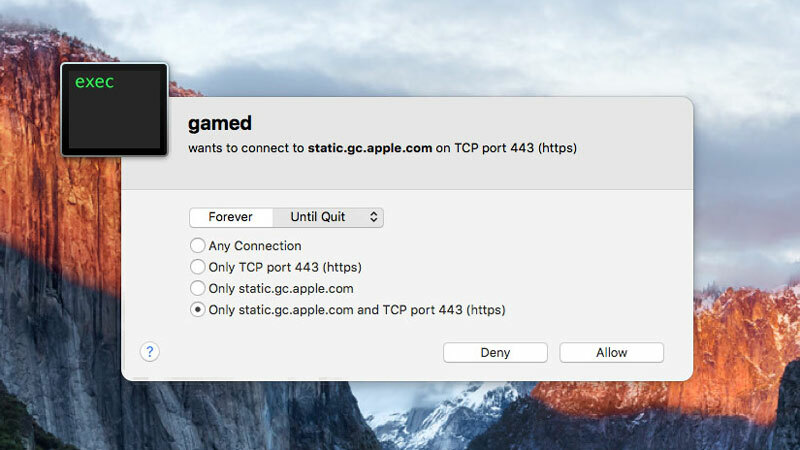 If you run Little Snitch you have likely noticed the ongoing attempts by the gamed process to connect to Apple Game Center. For many users, especially those using OS X server, Game Center is irrelevant. And, while it is possible to create a rule in Little Snitch that will make the alerts go away, it’s even more efficient to just disable the gamed process. Disable the “gamed” process to stop Little Snitch alerts.